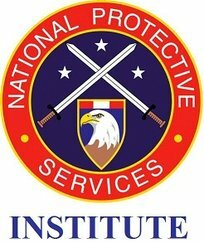 The National Protective Services Institute admits students and provides employment to individuals of any race, color, national and ethnic origin, creed, religion, age, gender, sexual orientation, political affiliation, physical disability, or veteran status. It does not discriminate in any of these categories in administration of its educational policies, admissions policies, scholarship and loan programs, and athletic or other school-administered programs, and provides all the rights, privileges, programs, and activities to all students generally accorded or made available to any students at the school. Download the NPSI Application for Admissions from the "Forms" tab. NPSI maintains an "open door" admissions policy on a first come, first served basis. Any applicant who has a high school diploma (or GED) and the minimum test scores (as listed below) may be admitted to the Institute, unless disqualified in the list that follows (the application includes a criminal background check). Individuals who have already obtained 30 or more semester hours from an accredited college or university will be automatically admitted, however, Wonderlic SLE-Q test scores must still be obtained. This allows the school to assess the strength and areas for improvement of the student. Because of the rigorous nature of online education, applicants to NPSI’s academic programs must demonstrate they have the ability to succeed in an online program. Testing provides the most objective measurement of an applicant’s knowledge, skills and abilities. This measurement provides an accurate and fair means to compare different applicants to each other and to the requirements of the program to ensure the applicant possesses the time, perseverance, technology and skills needed to succeed in an online distance learning program. *If applicants have not already taken the SAT or ACT, the Wonderlic SLE-Q is accepted on its own merit. The Wonderlic SLE-Q is provided through NPSI as part of the application process and at no additional charge to the student. All applicants must take the Wonderlic SLE-Q. An applicant must score at least 1500 on the SAT, or 20 on the ACT, or 20 on the Wonderlic SLE-Q in order to be granted admission. For example, a student who scored a 1300 on the SAT may still be granted admission if they score at least a 23 on the Wonderlic SLE-Q. Or, a student who scored an 16 on the Wonderlic SLE-Q may still be granted admission of they scored at least a 1500 on the SAT or a 20 on the ACT. 1) The individual is disqualified by state or federal law from owning or possessing a firearm. 2) The individual is a fugitive from justice. 3) The individual has ever been convicted, in any jurisdiction, of a felony level offense as defined by Texas state law (offenses not involving moral turpitude may be waived by exception). 4) The individual has been convicted in the previous ten years, in any jurisdiction, of a Class A level offense as defined by Texas state law (offenses not involving moral turpitude may be waived by exception). NOTE: The Chief Academic Officer (Academic Director) is the final approval authority for admission waivers. Applications are accepted on an ongoing basis. Students will be notified upon acceptance of application. Application and registration are accomplished through Matrix (see the Matrix tab on www.NPSIonline.net). Payment of tuition and fees are accomplished under Payments on the NPSI website. In order to fulfill State of Texas requirements, NPSI students must submit an enrollment agreement to be admitted to the school. The enrollment agreement is for the entirety of the program (Certificate/Advanced Certificate), however, class may be paid for individually. Students may cancel and/or change this enrollment agreement at any time after fulfillment of individual term/semester/class commitments. Students completing one program and entering another must submit a new enrollment agreement, however, their tuition and fees will be limited only to the remaining requirements. Continuing education and training students are not required to submit an enrollment agreement. Once a student has been admitted and maintains continuous enrollment, they may complete one level of achievement and continue through higher levels of achievement without having to re-apply. For example, if a student finishes a certificate program and desires to continue through an advanced certificate program, they may continue by simply entering a new enrollment agreement. NOTE: The National Association for College Admission Counseling provides excellent student and parent resources for preparing, searching, applying, financing, and succeeding in college. More information can be found at http://www.nacacnet.org/studentinfo/Pages/Default.aspx.